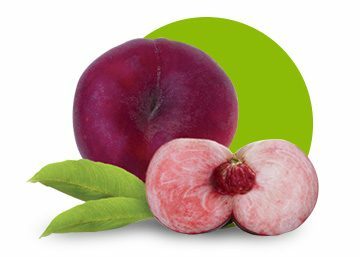 Flat peaches and nectarines were discovered in China where they are called “the fruit of the immortals”. Flat peaches are also called “Paraguayos” in Spanish. These fruits are always chosen for their flavour and delicate aroma. The shape and the small flat pit make it easy for children to eat. Perfect for on-the-go consumption, REGAL’IN™ flat peaches and nectarines are edible everywhere, any time.